The Marcellus shale is running short on pipelines. According to an April 24 report by the U.S. Energy Information Administration (EIA), increasing natural gas production in the Marcellus shale play continues to outpace the growth in the Appalachian Basin’s pipeline takeaway capacity. This has led to supply backups in the Marcellus region, with new production often unable to flow to areas where gas is in high demand, placing downward pressure on prices in the region. It has also contributed to a number of natural gas wells in Marcellus remaining backlogged, with a Feb. 28 report from Barclay’s estimating that more than 1,300 wells there are drilled but not completed. Natural gas prices at Leidy Hub in central Pennsylvania have continued to trade significantly below the Henry Hub national benchmark spot price. This winter, the Leidy spot price averaged $3.55 per million British thermal units (MMBtu), $1.08/MMBtu below Henry Hub and lower than the average spot price at any other major U.S. natural gas hub. Several proposed and recently completed projects will provide additional pipeline infrastructure to relieve some of the Marcellus supply backup. 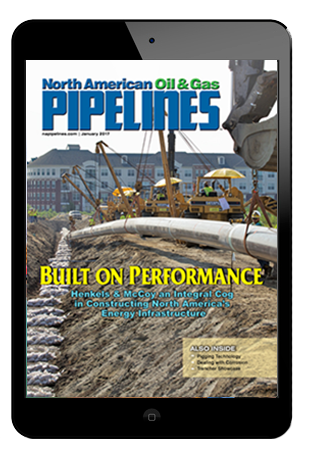 Projects that have recently come online, such as Transcontinental Pipeline Co.’s (Transco) Northeast Supply Link, have expanded the capacity of pipelines to move gas north to the New York and New England demand centers. Recently, there have also been several proposed projects to move natural gas south from the Marcellus region, reversing flows on pipelines that historically sent natural gas from the Gulf Coast to consumers in the Northeast. Transco announced on April 17 that natural gas shippers entered into firm delivery contracts for the full 0.44 billion cubic feet per day (bcf/d) of planned expansions under its Dalton Expansion Project, which would send natural gas from New Jersey to Georgia on the company’s mainline. Transco currently has a peak design capacity of 9.8 bcf/d and flowed up to 2.8 bcf/d of Marcellus gas to customers in the Northeast this winter, according to data from Bentek Energy LLC. Transco has submitted a request with the Federal Energy Regulatory Commission (FERC) for the Dalton project and currently plans to begin construction in April 2016, with a planned in-service date of May 2017. There are two principal pipelines on the Transco mainline right of way (segments A and B), and up to five, depending on how many of the three additional pipelines (segments C, D and E) operate on each section. All of these segments currently can only move gas north from the Gulf of Mexico. The Dalton Expansion Project would involve modifications that would allow Transco to flow gas south on at least one of these lines from its Zone 6 Market Pool (Station 210) in New Jersey. At Station 210, Transco receives Marcellus Shale gas transported east from Leidy Hub in Pennsylvania. Modified portions of the mainline in New Jersey, Maryland, Virginia and North Carolina on portions of Transco enable this gas to flow to Georgia, where a new lateral pipeline, compressor station and three new metering facilities could transport it to Atlanta’s local distribution company (Atlanta Gas and Light) and Oglethorpe Power’s Thomas A. Smith power plant in Dalton, Georgia. Before completing the Dalton project, Transco plans to complete the Leidy Southeast Project. Like Dalton, Leidy Southeast would enable Transco to move gas south toward the Gulf on sections of its mainline that currently can only move gas from the Gulf to the north. This project, targeted to be in service by December 2015, would increase the Leidy Line’s current 1.66 bcf/d capacity to move Marcellus production out of central Pennsylvania by an additional 0.51 bcf/d. The project would involve compressor station expansions beginning this fall and the addition of new looping, or parallel, pipelines and modification of existing pipelines beginning in the spring of 2015. Transco’s Atlantic Sunrise Project, which would provide an additional 1.66 bcf/d of capacity to move Marcellus gas from the Leidy Line to firm customers on the mainline between Pennsylvania and Alabama. Transco plans to complete the project’s pipeline loops, pipeline replacements and new pipelines (Central Penn North and Central Penn South) by July 2017. A Texas Eastern Transmission (Tetco) project (TEAM 2014), which has already received FERC approval. This project would provide capacity to move an additional 0.59 bcf/d of gas out of the Marcellus region, including 0.24 bcf/d south to Tetco’s AA market zone in the Gulf of Mexico region. 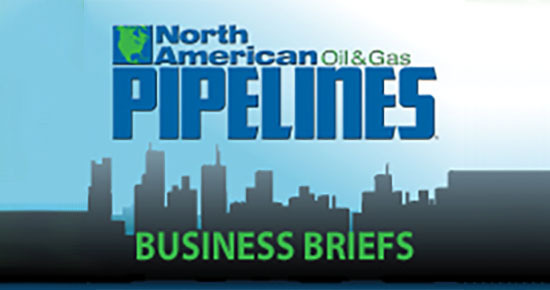 A TransCanada project to provide 2 bcf/d of capacity to move Marcellus and Utica gas south on the ANR Pipeline’s Southeast Main Line system by 2015. A Kinder Morgan project to move 0.49 bcf/d of Marcellus and Utica production on the Tennessee Gas Pipeline (TGP) to multiple delivery points on the Gulf Coast. An additional project to move 0.58 Bcf/d from TGP’s Broad Run Lateral in West Virginia to the southeast on Zone 1 of its pipeline by November 2015 and another 0.2 bcf/d on the same path by November 2017. These projects illustrate the vast supply of natural gas in the Marcellus (and Utica) shale. With prices falling in the Midwest and Northeast, as EIA reports, companies are looking to more lucrative markets to ship product.